Prescription medications save the lives of many patients by supporting life, curing illnesses and maintaining health. However, when a medication error by the pharmacy or medical staff causes the patient to die, surviving family members often file a wrongful death lawsuit to seek justice and financial compensation. As Chicago pharmacy error lawyers, Rosenfeld Injury Lawyers LLC is committed to holding negligent parties fully accountable for their acts when their actions-- or inactions result in the death of a person. If you have a loved one who died as a result of an error made by a pharmacy, our law firm is here to help get you the answers you deserve. Contact us for a free case review with an attorney who has experience prosecuting wrongful death cases involving pharmacies. Pharmacy selling prescription medications have a legal duty of care anytime they fill a prescription for a patient. 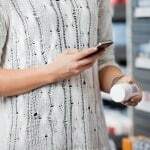 This responsibility extends well beyond the pharmacy to clinics, hospitals, nursing homes and other facilities where pharmacists were employed when the prescription medication was filled. Pharmacies are required to check every prescription for accuracy before dispensing the medication to the patient or consumer. When the pharmacist, pharmacy clerk, technician or other staff working at the prescription counter is negligent, everyone responsible for the patient’s death can be held legally liable for financial compensation to surviving family members. While there is no way to overcome the grieving process by filing a lawsuit, taking civil action against parties at fault can help minimize the financial burden of losing a loved one. The state’s tort law allows surviving family members to file a prescription medication error wrongful death lawsuit against the pharmacy, pharmacist, doctor or others at fault for the death of a loved one. Family members include spouses, parents, children and others related to the deceased victim. A wrongful death lawsuit can provide compensation to assist in replacing the loss of earning capacity, extensive medical bills, funeral costs and the purchase of a burial plot. However, the lawsuit must be filed before the expiration of the statute of limitations. Because of that, it is essential to seek legal advice by hiring an experienced personal injury attorney who specializes in wrongful death claims. This is because the lawyer will need to review extensive medical records, assess the claim, talk to doctors, speak to the pharmacy employees handling the medication, hire expert witnesses, and build the case before sending a demand letter for compensation. If you have lost a loved one caused by the negligent actions of medical staff or a pharmacy, it is essential to hire a skilled pharmacy medication error wrongful death attorney right away. This is because there is a strict time limitation on filing the paperwork to seek compensation for your losses. Rosenfeld Injury Lawyers LLC at (888) 424-5757 accept Chicago pharmaceutical medication error wrongful death lawsuits on contingency. This means that your family can hire our law firm without paying any upfront fees. Our legal services will be paid through an award from a successful trial or negotiating an out of court settlement.